The SOS Children’s Village is composed of 16 houses where live in each 10 children with their SOS Mother. An administration building, a house for the director and a kindergarten are also in the SOS Children’s Village, as a sports field. 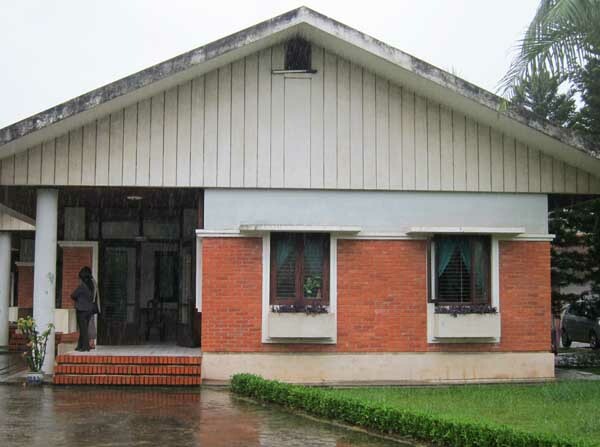 1 retirement house for SOS Mothers has been built also. No SOS Mother stays yet in there. The SOS Children’s Village hosts 160 children, and 31 youths over 18 years old who live in a youth house nearby and go to the university. 7 SOS antes help the SOS Mothers. The board of the SOS Children’s Village is told by the hospital nearby that a child has been abandoned. The SOS Children’s Village’s staff first tries to find the parents back. When it appears that the family cannot be found, then the child is definitely in the care of the SOS Children’s Village. The Vietnamese educational system allows the children go to the public school out of the SOS Children’s Village, with 2 shifts a day (morning and afternoon). This eases their integration in the society and boosts their ability to build relationships. Youths who want it (or are able to) have the possibility to follow the courses in the universities nearby. After school, some volunteer students from the universities nearby come to support the children for their home works. 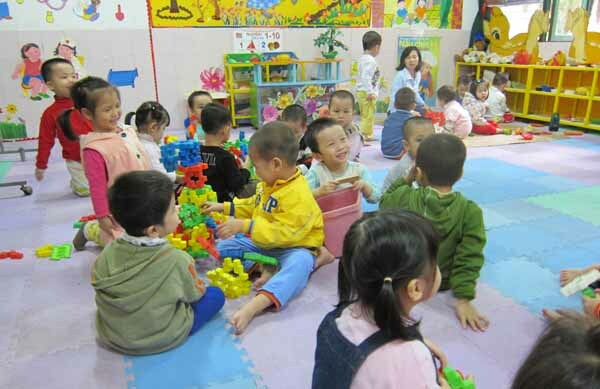 Exchanges with 3 schools in Vietnam, including UNIS (United Nations International School) in Hanoi are developed in order to raise children’s sociability. The activities out of school are mainly within the SOS Children’s Village. Children are told to take care of their house with their SOS Mother (cleaning, gardening, small works…) and have also the possibility to play sport within the SOS Children’s Village or outside in clubs. Children are encouraged to develop their skills. Some outdoor activities are set up out of the Village, such as camping for the most rewarding students, or a soccer tournament between all the SOS Children’s Villages in Vietnam. The purpose of a SOS House is to be a family house under the gently authority and in the warmly care of the SOS Mother. A SOS house hosts 10 children and 1 SOS Mother. SOS Mothers in Vietnam have chosen to dedicate their whole life to children in the care of SOS Children’s Villages. They are single and spend almost all the time with children, 7 days a week, 24 hours a day. Before being graduated as SOS Mothers, they got a 6 months training and then 2 years of probation. Their close relatives (who are de facto their SOS Children’s relatives) come sometimes to visit them in the SOS Children’s Village. This organization with SOS houses aims to raise the emotional and psychological state of the children. Funds of SOS Children’s Village of Mai Dich come from the SOS Chilldren’s Villages headquarter which centralize and distributes the money collected all over the world. The Village receives also a local support by Vietnamese companies through material help (for the building of houses, stationary…). Some children are also sponsored by donators. 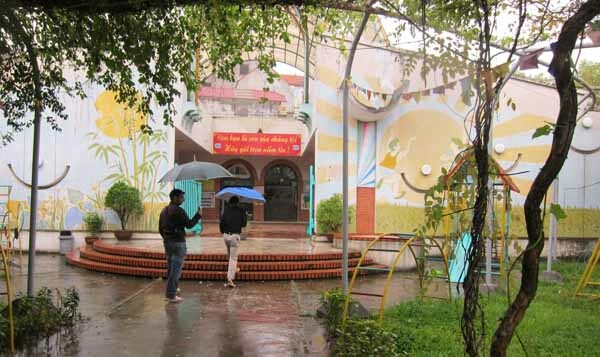 How can SOS Children’s Village of Mai Dich be helped? Any kind of help is welcome: material support, donations, stationary… Do not hesitate to visit the website www.sosvietnam.org to get further details.